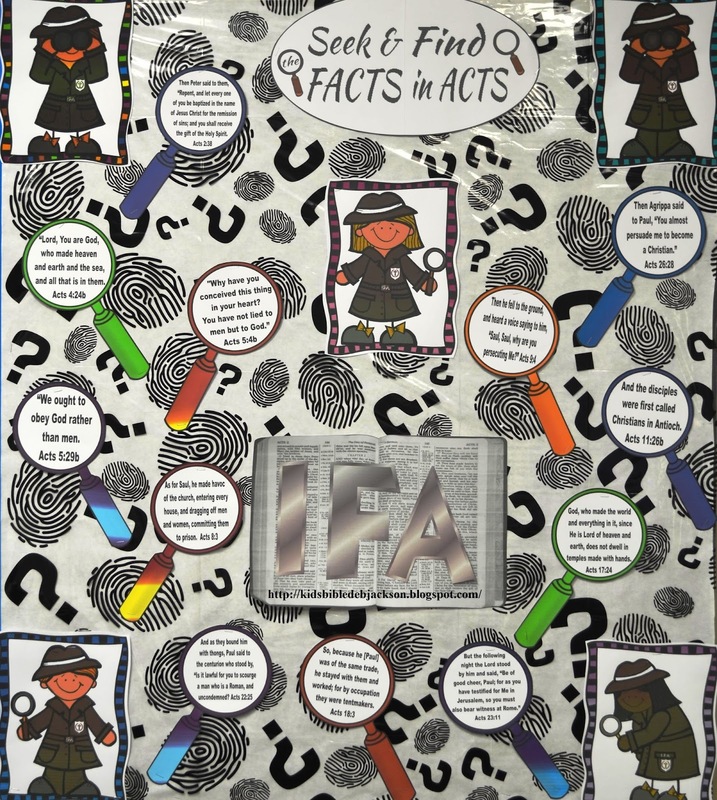 I made all new bulletin boards and posters to go with Investigating Facts in Acts (IFA). I realize that investigating, detectives and secret agents are not a new concept, but I did use the graphics that I could find to create new ideas and printables for the book of Acts and Life of Paul. It all started when I found so many great items for sale this Spring for VBS that had to do with Investigators! I started at Hobby Lobby and my head just filled with all kinds of ideas! Then, Oriental Trading had a lot, so I had even more ideas in my head! Then, Lifeway had their VBS with the Agency D3, and I found some items in their store! Since I thought Investigating Bible Facts is a great idea anyway, I decided to teach the 30 weeks of Acts with this theme. I will have bulletin boards, worksheets and different ideas for this. This post is the bulletin boards and posters I created. While looking around the local teacher's store, I found this new set from Trend Enterprises called Passport To Learning (T-8296). Since I have used passports with Paul and his travels for at least 20 years (☺), I just had to have it! I used the nice title that came with the set and added labels to the passports of the different places that Paul traveled to in the book of Acts. These are the same places that are in the new passports. Some places are listed more than once, but there is just one passport for each. There are a couple of different options for printing for you. Both have extra printables to use for Paul's travels like a ship, Paul and a Roman Soldier, a Bible city, etc. Click here to download the set that is to use with the Trend set above. It includes the labels for the passports in the set. And, labels for the stampers that are inside. The other choice has passports for you to print. They are black & white so you can print onto color cardstock. Click here to download the passport set. This is a scripture Seek & Find. I used scriptures on the magnifying glasses that I refer to a lot while we study Acts. I used the plastic table cloth from Oriental Trading for the background (on top of the white). I like a nice plain background, but thought I'd try something new with this! There are footprints you can cut from black cardstock or construction paper to save ink. I put the IFA letters separate but can be used on the Bible or not at all. Click here to print the Seek & Find Bulletin Board. One of the bulletin boards I made is Who Did It? interactive bulletin board. I have file folders with a photo and the question on the front. There is a pocket glued on the back and a slit on the file folder to hold the answer which is on a notepad and the scripture is on a magnifying glass. There is also a border you can print for this, but I used the Investigating yellow tape I found at Oriental Trading as a border. I know it doesn't look like much from the picture, but the kids commented on this one and said they liked it! The pockets are easy enough to make, but there is a lot of cutting for this bulletin board. But, I will use it for over 30 weeks, and it is a great interactive board. Click here to print everything. This bulletin board is visuals with highlighters as accents. I have used scriptures that are found in Acts that is a repeating theme, and is suitable for early elementary. And that I will refer to during our study in Acts. I realize that other scriptures would be used for adults. Click here to download the Highlights of Acts printables. 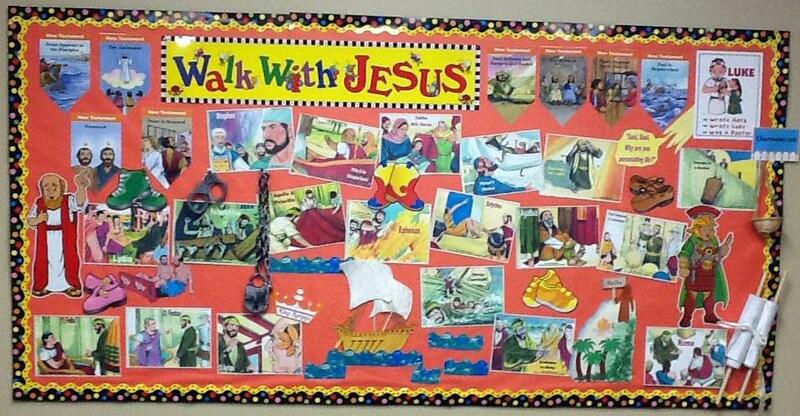 This is a poster I made that has 'SUSPECTS' that we will be studying about in the book of Acts. With each body shadow, there is the person's name and scripture. I used two poster boards, glued longwise to make one large, long poster. I used the duct tape I purchased at Oriental Trading around the edges. There is a lot of decorative duct tape, or you can use a stamp pad and make thumb prints around the edges. There is a title, center logo and corners for the poster, which can be used a small bulletin board also. Click here to print the Watch List for Acts. While I was making the above poster, I was reading through Acts to find the scriptures , and decided that the scriptures that Paul describes himself to others would make a great poster also. I decided to use the ribbon bulletin board border that I had purchased for a small bulletin board. I had seen this idea to make the ribbon design here, and also the bow design here. I think this ribbon border is pricey, but it was exactly what I was looking for, and I didn't see the price until I got home! So, I really wanted to get a lot of use from it! You can use a wide ribbon (at least 1" wide by 36" long) instead if you like this general idea. Click here to print the All about Paul posters. I also made these Wanted Posters. They are Paul and the men that traveled with him and taught others about Jesus. There is a set of small ones that I used to glue on the wanted poster that you see on the left. You can see the poster here. I purchased it at my local teacher's store. You can download the small posters here. They would also be great to add a snap ring in a corner for each student for review. Or, if you like the full sheet size that you see on the right, you can download the full size set here. I like the Books of the New Testament pennants that I made for VBS this year, so I made Study of Paul in Acts pennants to add to all the new printables. I kept them plain without any extra logos. Click here to see the Books of the New Testament pennants with the directions. 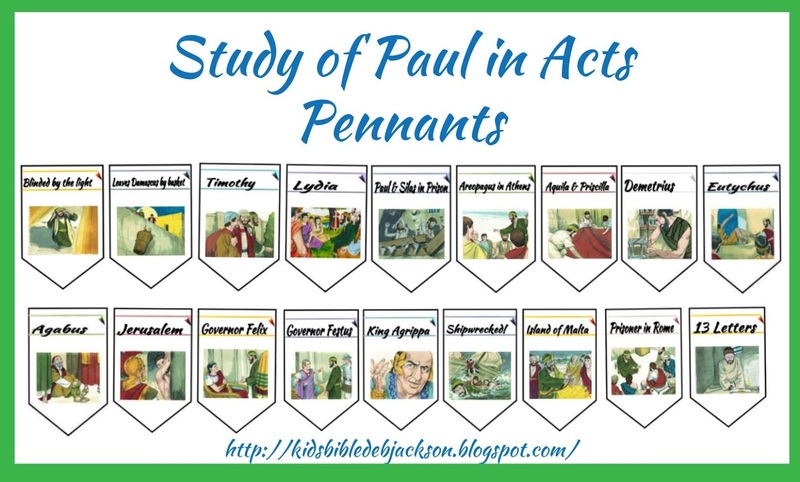 Click here to download the Study of Paul in Acts pennants. I also updated the posters that I use for Paul in Acts. These are posters of Paul and who he is traveling with. Also, when Paul is on trial, the order of who he had to go before, etc. It just makes review easier. I had made posters for the Disciples of Jesus, and liked them, so decided to update these too! Click here to print the posters. You can see the original posters here with more ideas on how I used them. You can also see the 12 Tribes posters here. This one drove me crazy because there is so much on it, but I used it for review each week. 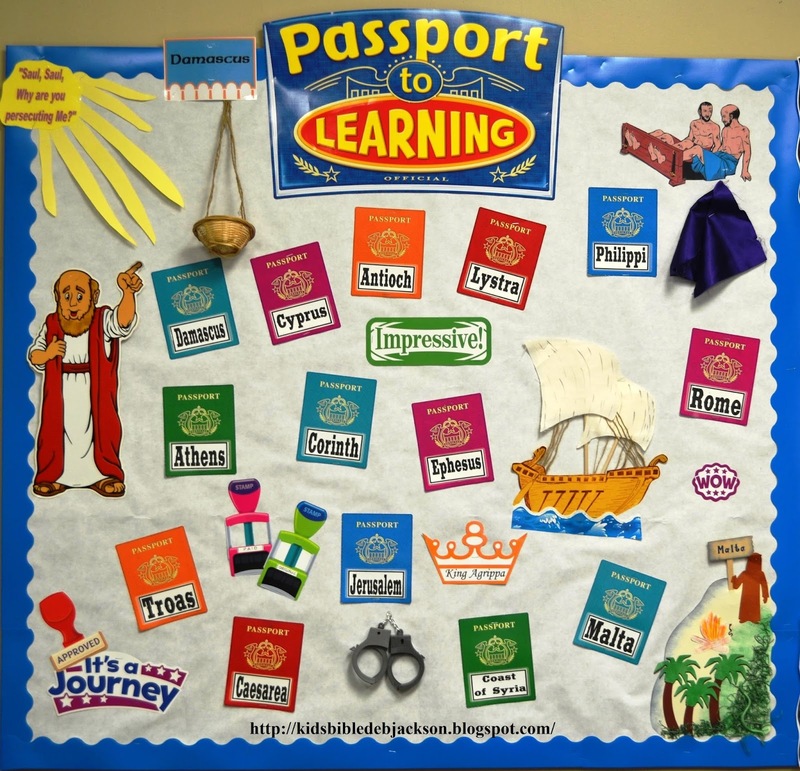 I am using some of the parts from it, though, on the Passport to Learning board. I used the scroll, basket, Malta, Paul, etc. See this one here. Click here to see a couple of different ones I used for VBS. Click here to see several more. You have done a wonderful job of covering the book of Acts visually! I really like the new testament books of the Bible pennant. Do you have a way you teach the books of the Bible? I teach 1st & 2nd graders. We sing the song, have the books of the Bible on clothes pins, & have a poster in our room, that we go over. Sometimes, it just seems like I need to try a different way. What have you done in the past that seems to work best?